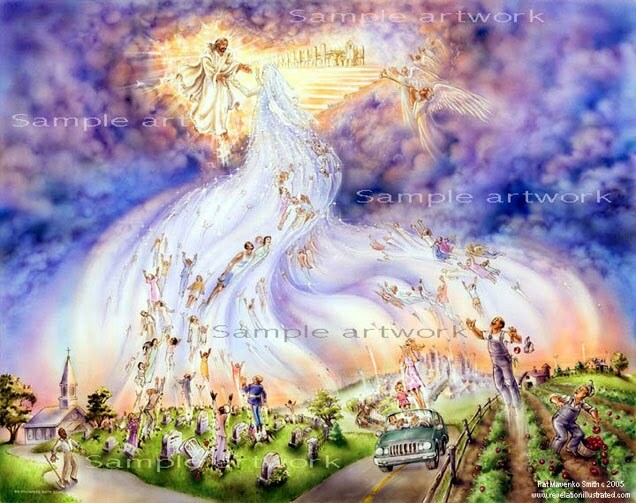 The strange belief in the Rapture teaches that some day (sooner rather than later), without warning, born-again Christians will begin to float up from the freeway, abandoned vehicles careening wildly. There will be airliners in the sky suddenly with no one at the controls! Presumably, God is removing these favored ones from earth to spare them the tribulation of the Anti-Christ which the rest of us will have to endure. 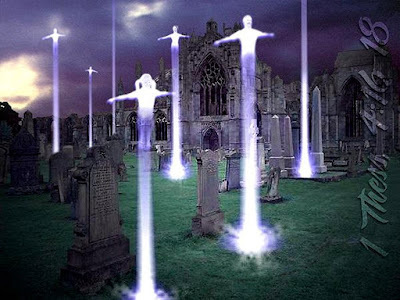 Unfortunately the Rapture has been promoted widely by the Left Behind series of books that have sold over 70 million copies. The Rapture represents a radical misinterpretation of Scripture. I remember watching “Sixty Minutes” a year ago and was appalled to hear the announcer say that “the Rapture is an unmistakenly Christian doctrine”. It is not! It is a serious distortion of Scripture. It is astonishing that a belief so contrary to Scripture and the tradition of the Church could be propagated by so-called “Christians”. According to the Bible and according to the belief not only of Orthodox Christians but also of the Roman Catholic and most Protestant mainline churches, the true Rapture will not be secret; it will be the great and very visible Second Coming of Jesus at the end of the world. 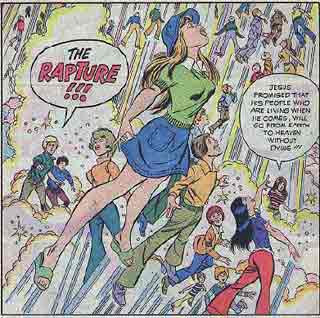 That is the one and only “Rapture”. It will not be a separate, secret event but one that "every eye shall see" (1 Thess. 4:16-17). This “being caught up…in the clouds” — arpagisometha in Greek - is translated by some as “raptured”. The word itself is not found in Orthodox theology. The notion of a rapture in which Christ comes unseen to take believers away secretly, and only later comes back again for everyone else publicly—this whole teaching is quite novel. It was almost unheard of until John Nelson Darby formulated it in the 1800s as part of a new approach to the Bible, sometimes called “dispensationalism”. Nowhere did Jesus ever say that He would return secretly to rapture the elect. Rather, He promised to be with His elect in all tribulations. “Lo, I am with you always. I will never leave you or forsake you.” He even had something good to say about being persecuted: “Blessed are those who are persecuted for righteousness’ sake, for theirs is the kingdom of heaven” (Matt. 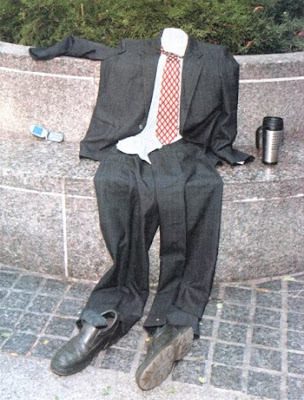 5:10). The entire passage, however, refers to Christ’s second coming where He will judge the living and the dead and separate the just from the unjust. Darby taught as dogma that when the Scriptures reveal that the Lord will reign on earth for a thousand years (Rev. 20:4), this figure is to be taken literally, rather than as a symbol for eternity as we believe. The Council of Ephesus in A.D. 431 condemned as heresy this teaching which is called Chialiasmos (millenianism or 1000 years). In fact, the Seven Ecumenical Councils (325-787 A.D.) in which the essential truths of the Christian faith were defined never mention a rapture. Yet Evangelical Christians and Pentecostals keep using obscure passages of the Book of Revelation which purport to give a detailed timetable of what will happen at the end of the world, despite the fact that Jesus Himself warned that no man knows either the day or the hour when the Son of Man shall return. There is no mention of a “Rapture”. "Though many believe and teach this 'Pre-Tribulation Rapture' theory, they erroneously do so, because neither Jesus, Paul, Peter, John, nor any of the other writers of the Bible taught this. Nor did the early Church Fathers, nor any others for many hundreds of years…. Did you know that NONE of this was ever taught prior to 1812, and that all forms of Pre-Tribulation Rapture teaching were developed since that date? …. If I were to preach something, or believe something, supposedly from the Bible, but cannot find that ANYONE ELSE before 1812 ever believed it or taught it, I would seriously question that it is based on the Bible." Thus the Rapture is foreign to the Bible and to the living tradition of the Church. It is what we call a heresy, a false teaching. False teachings, such as this, happen when people — like John Darby — believe that they have the right to interpret the Scriptures individually apart from the Living Body of Christ — the Church — where the Spirit of Truth abides and leads us to all truth. “Be on guard. Be alert! You do not know when that time will come…keep watch…if He comes suddenly, do not let Him find you sleeping. What I say to you, I say to everyone: Watch!” (Mark 13:32-37).